Traditionally, an annual physical exam has been the recommendation of nearly all doctors. Depending on your gender, age, and health conditions, however, you may need to see your doctor more or less often. There are a number of factors to consider when scheduling your next appointment. If you’re under thirty and ordinarily healthy, with no risk factors like obesity, smoking, or history of disease in your family, you can probably get away with seeing your doctor every two to three years. 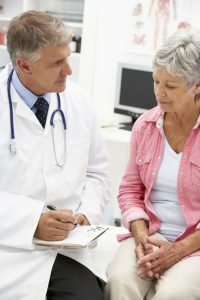 Women should discuss their need for specific screenings, like mammograms and pap smears, with their doctors. Once you pass thirty, you should see your doctor at least every 2 years. After age 50, annual exams become more important, as the changes age brings can put you at higher risk for things like heart disease and cancer. Fitness and activity levels are important factors in determining your exam schedule as well. It might be necessary to schedule a sports physical exam annually to qualify you for participation in your favorite activity. Many schools and other institutions’ insurance policies require an exam prior to each season of play. Regular checkups can help prevent long-term damage from injuries you might incur on the field. When you come to a physical exam clinic, you should be prepared to answer general questions about your health, as well as know what medications you’re taking, whether they’re over-the-counter or prescription. You should also keep record of the dates of your last screenings for things like cancer, especially if you’re seeing a doctor who doesn’t have your records. Be honest about your smoking and/or drinking habits, and any drugs you might be using. If you have any health concerns at all, bring them up early in the exam so you have time to discuss them with your doctor. Contact Alpha Care today to schedule your next physical exam.